(Aug. 26, 2016) -- The Portland Police Bureau, Metro and the Portland Bureau of Transportation are partnering to keep Portland's students safe as they return to school in the coming weeks. Classes at the five school districts in Portland begin in the next two weeks, with the largest, Portland Public Schools starting on Monday, Aug. 29. 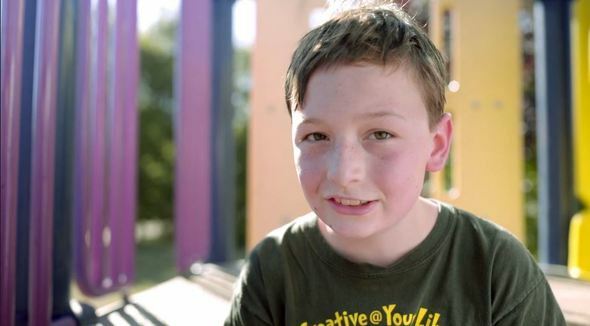 Several short videos also explain the importance of stopping for pedestrians and the 20 mph speed limit in school zones. To ensure student safety and increase awareness of the start of the school year, the Portland Police Bureau will be conducting high visibility patrols around all Portland schools as part of a "Back to School" safety campaign. Warnings and citations will be issued, focusing on traffic violations near schools. Commissioner Steve Novick, who oversees PBOT, said the start of the school year is a good reminder that the speed limit in school zones is 20 mph. "Everyone needs to remember to look out for children walking and biking to school," Novick said. "If we all look out for each other when we're walking, driving or biking we can help our kids have a safe, fun journey to school." Transportation Director Leah Treat will greet students and parents at Cesar Chavez Elementary on Wednesday morning to encourage biking and walking and safe travel in school zones. 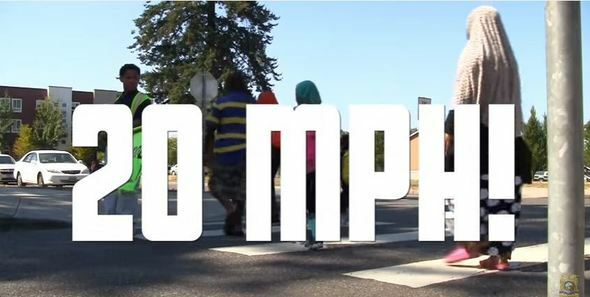 VIDEO by Metro and Oregon Department of Transportation. 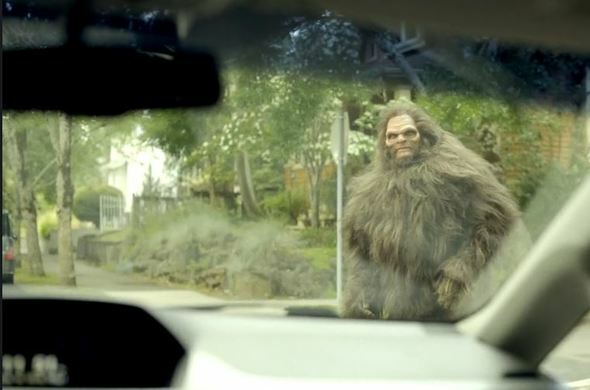 From 7:30 to 8:15 a.m. on Wednesday at Cesar Chavez School in North Portland, Treat will be joined by Sasquatch, the mysterious character from Northwest forests who has been helping Metro and the Oregon Department of Transportation with their Oregonian Crossingpedestrian safety campaign (www.walkbikeroll.org). Treat and Sasquatch will speak with children and parents, and distribute pedestrian safety information. Portland Safe Routes to School will also help spread the word about what parents can do to travel safely in the area. VIDEO by Portland Police Bureau. The goals of this partnership are to provide a positive and safe environment for our children to learn and travel to and from school and to provide a safe environment in and around the schools for students, parents, school staff and their neighbors for the start of the 2013-2014 school year. Beginning this week, many young people will be walking and riding their bicycles to school. Congestion in school zones will increase, especially during the busy morning and afternoon drop-off and pickup times. Obey the 20 mph speed limit in all school zones. Be patient during drop-off and pick-up if you drive your student to school or drive near a school. The roadways surrounding schools are congested during these times. Do not idle your vehicle in school zones. Stop and remain stopped for pedestrians at all intersections, whether marked as a crosswalk or not: It’s the law. When turning right on a red light, look both ways for people walking and biking. Be aware of students where there are no sidewalks along the road and when backing out of driveways. Watch for younger and less predictable children who may dart into the road. Stop and wait for school buses when red lights are flashing. If your a parent, consider parking a few blocks from your child's school and walking the rest of the way. You'll reduce traffic congestion by the school and get a pleasant morning walk with your child. Thanks for doing your part to provide safe student travel near all Portland schools. For more information on the Safe Routes to School program visit http://www.saferoutesportland.org Portland Safe Routes to School is a partnership of the City of Portland, schools, neighborhoods, community organizations and agencies that advocates for and implements programs that make walking and biking around our neighborhoods and schools fun, easy, safe and healthy for all students and families while reducing our reliance on cars. The Safe Routes program can provide safety educational materials and other resources for parents and school officials.